We are a privately owned veterinary practice serving the North Shore, Greater Boston and surrounding communities, such as North Reading, Reading, Andover, North Andover, Lynnfield, Middleton, Wilmington, Stoneham, Wakefield & Tewksbury. For driving directions, please use the Google Map below. Call (978) 276-3203 to schedule an appointment or to speak with our helpful staff! 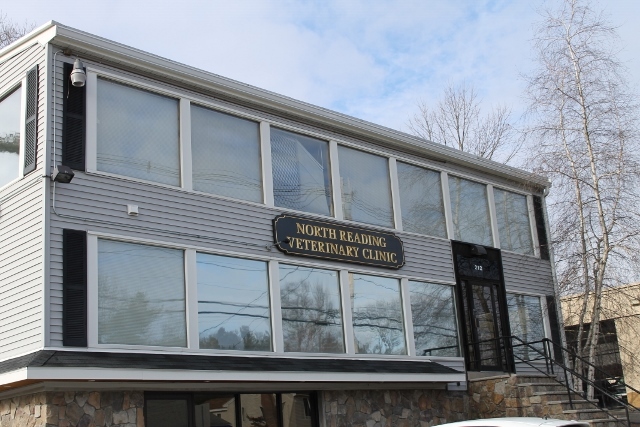 Click here for FAQs about North Reading Veterinary Clinic. Use the form below for any non-urgent questions or comments you may have.